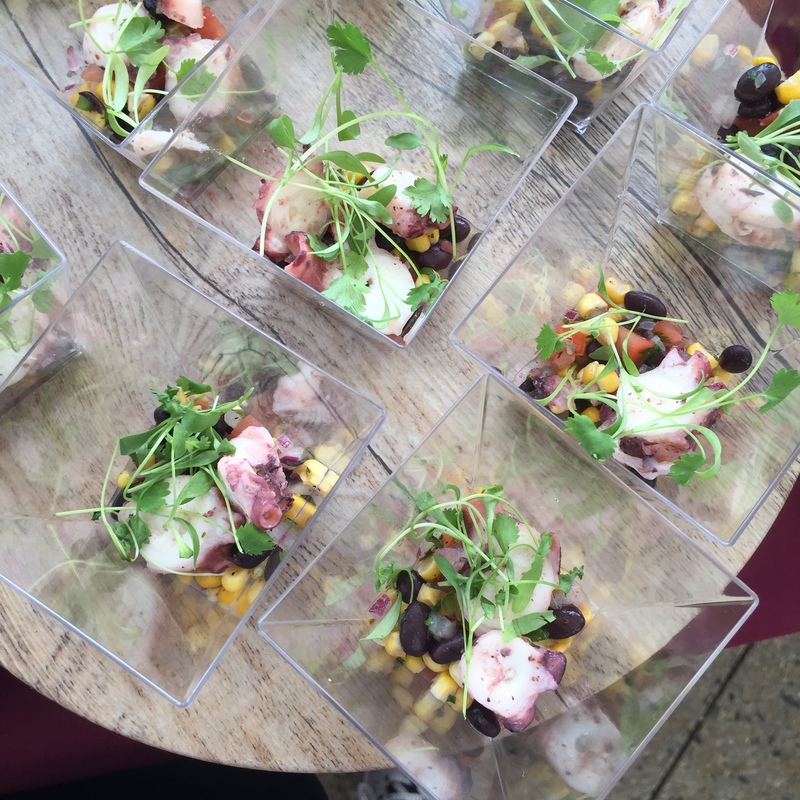 With Kensico Dam serving as the backdrop and food and drinks from some of the county’s best, it was a great day for the hungrier half of FP (Allen) to be in attendance at Westchester Magazine’s Wine & Food Festival. Read on to learn more about what he ate throughout the day. It was a hot day so it was good to start the say and cool off with some watermelon salad from Polpettina’s and strawberry lemonade from Whole Foods (Ridge Hill in Yonkers). 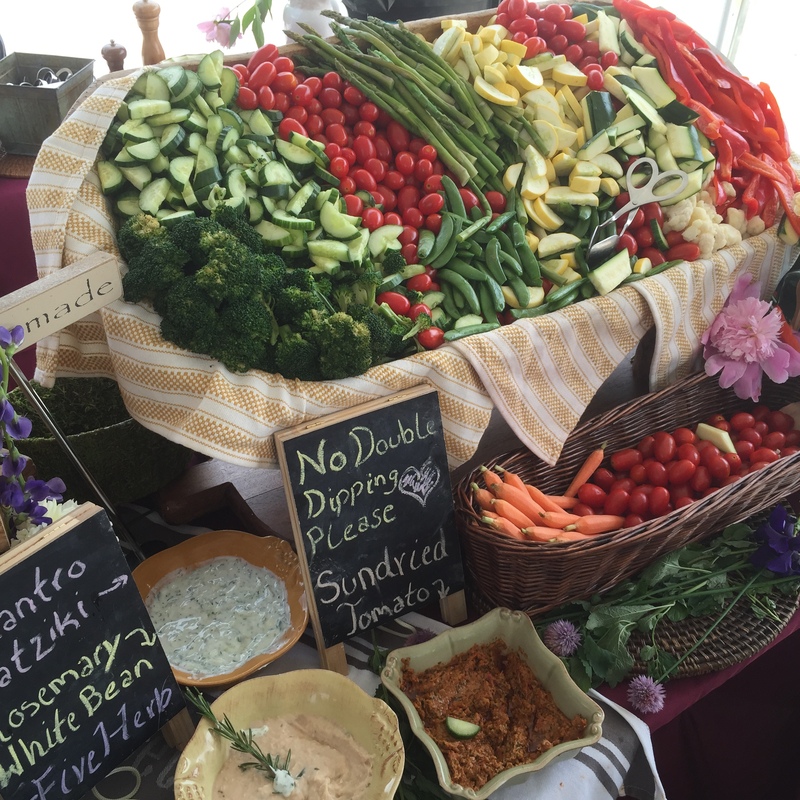 Since I do not drink wine, I was happy to visit the tables serving food as all the wine tables had long lines! 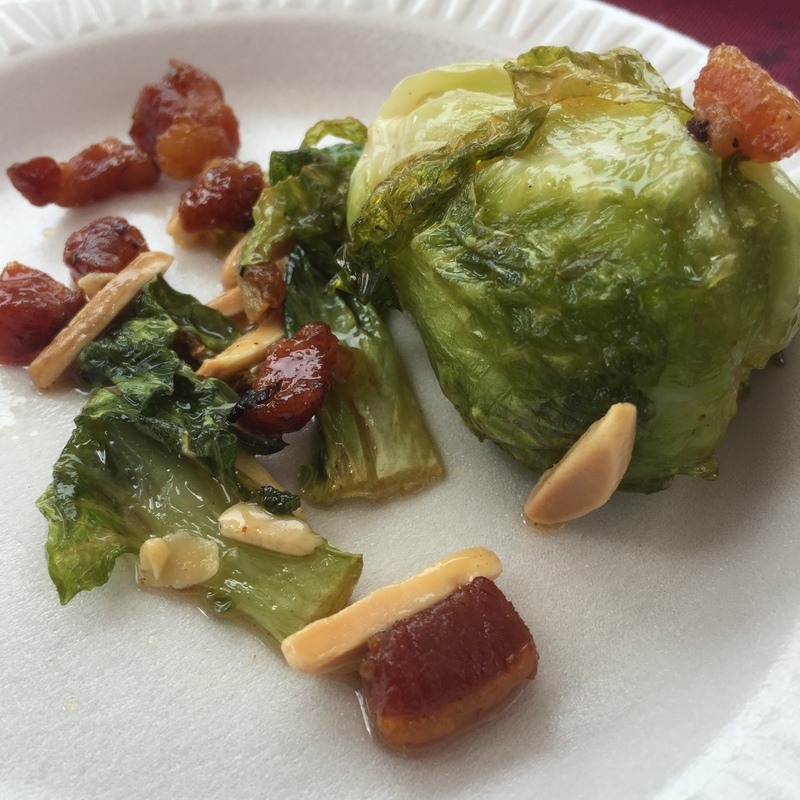 It was good to taste food from places I’ve been to such as Cedar Street Grill where Chef Matt Kay prepared delicious brussels sprouts sprinkled with bacon. 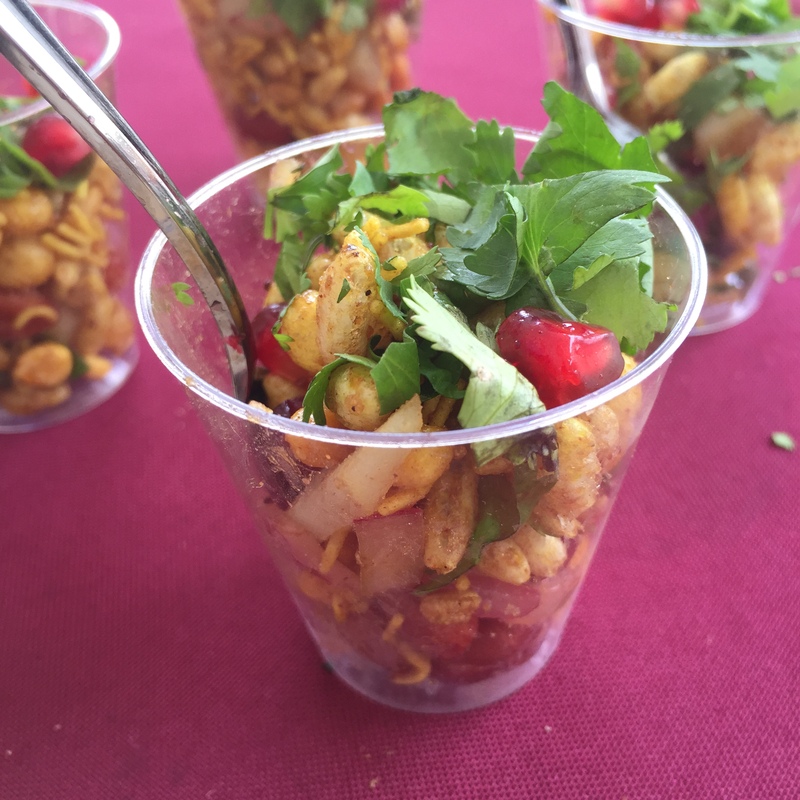 Navjot Arora of Chutney Masala treated the crowd with mango lassi and mung beans. 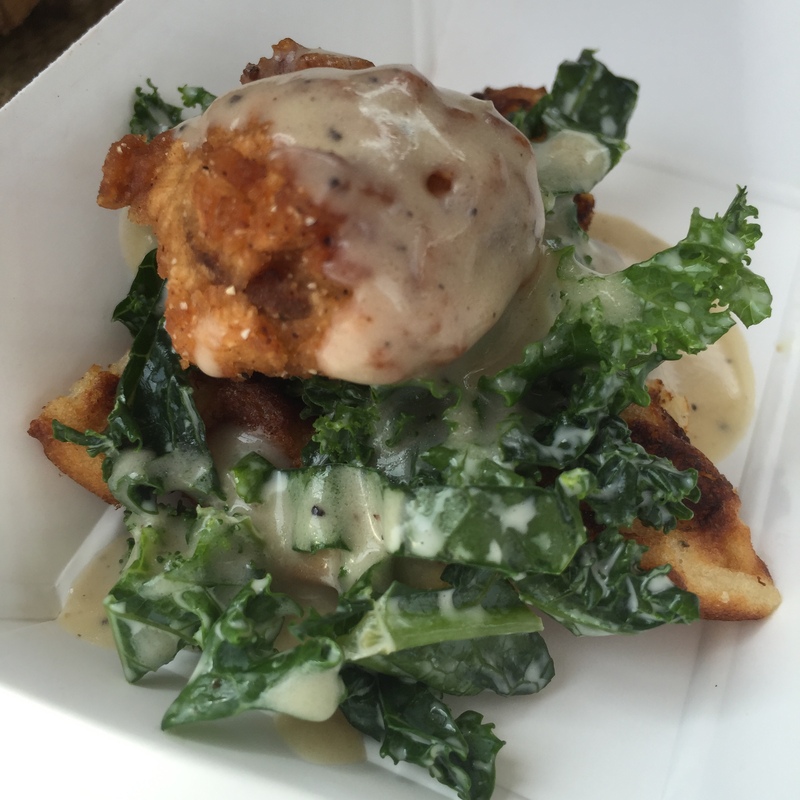 What I enjoy most about attending food festivals is sampling food from places I’ve never been. 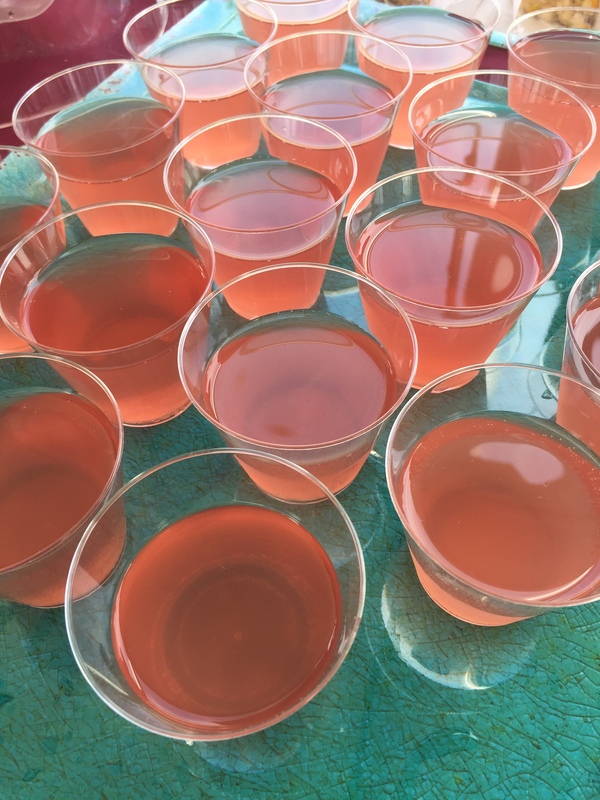 After tasting octopus from both Dolphin and Cooper’s Mill, these establishments are high on the list of places to eat in the near future. 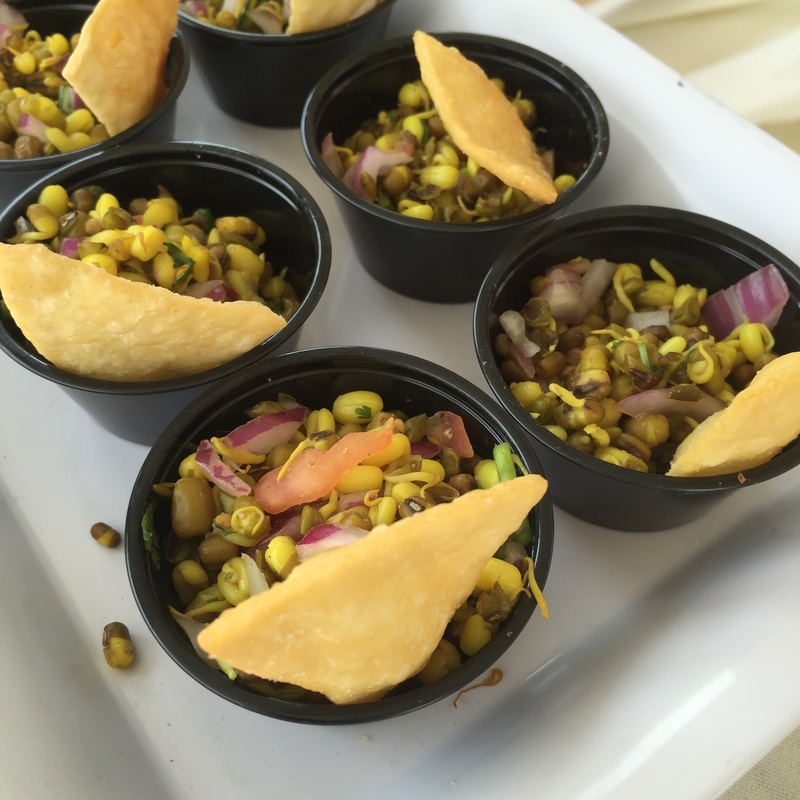 Other plates that caught my attention was rabbit and waffles from Clock Tower Grill, the wonderful veggies and hummus dip display from Cafe of Love and shots of Bhelpuri from Samosa Shack. It’s always great to learn about new places and taste what they have to offer! 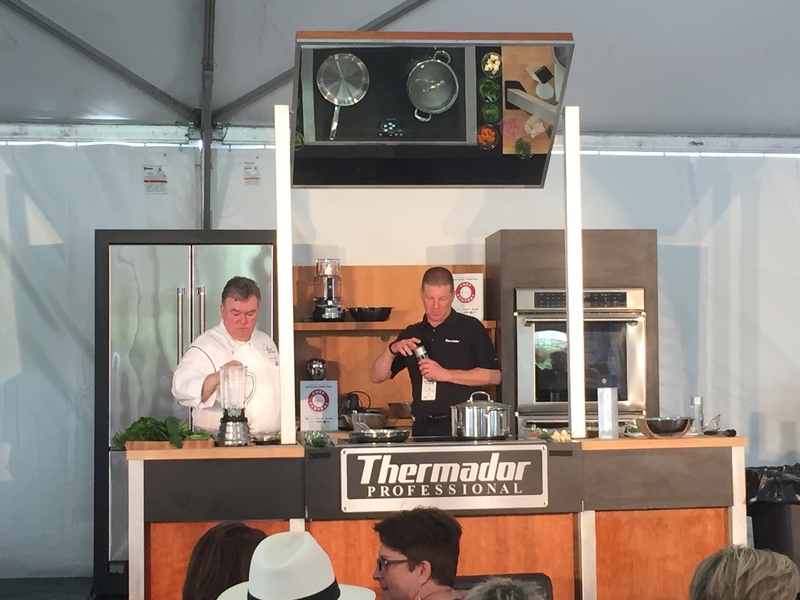 In between trips around the different tents, it was great to watch celebrity chef Peter Kelly of X20 put on a cooking demonstration for the audience. 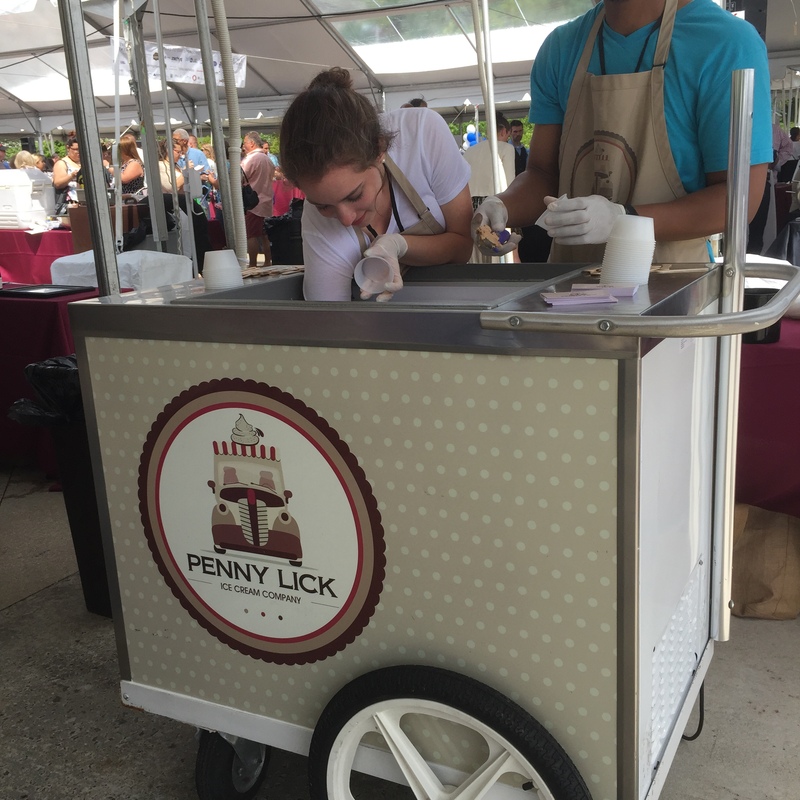 Of course, I had to save room for dessert so I saved the best for last and enjoyed some ice cream from Penny Lick. It was great to catch up with owner Ellen Sledge and learn more about her upcoming retail space in Hastings on Hudson…stay tuned! 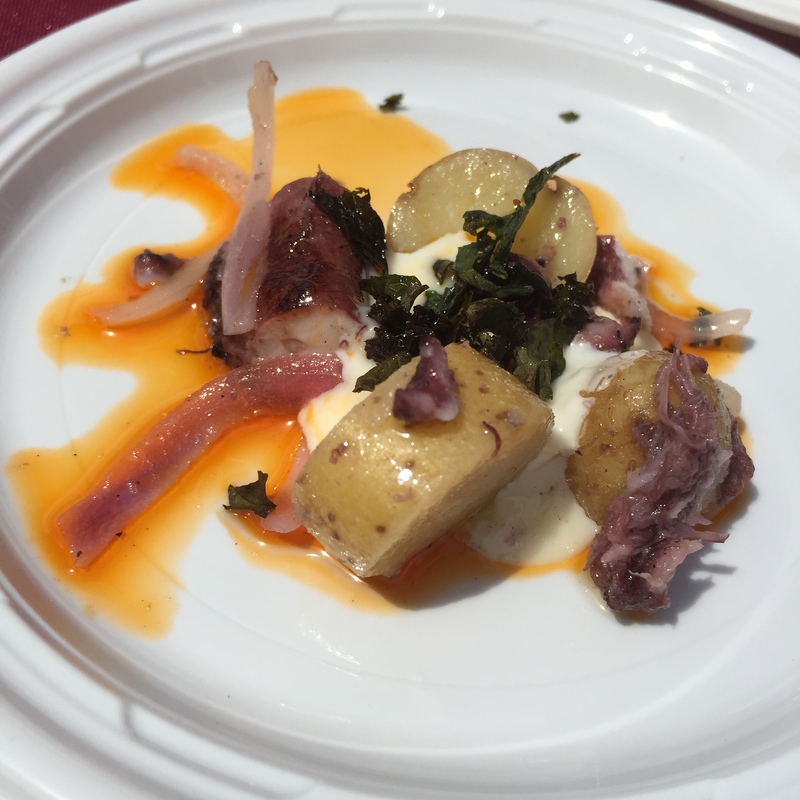 The food festival was a delicious time and I hope to be there next year also! 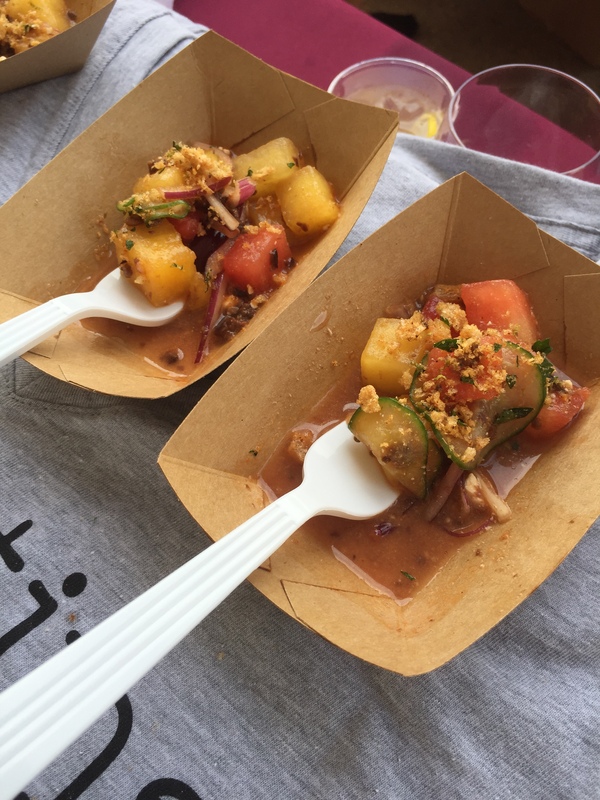 If you attended Westchester Magazine’s Wine & Food Festival, share your experience by leaving comments or reaching out via Twitter at @foodiepleasure.